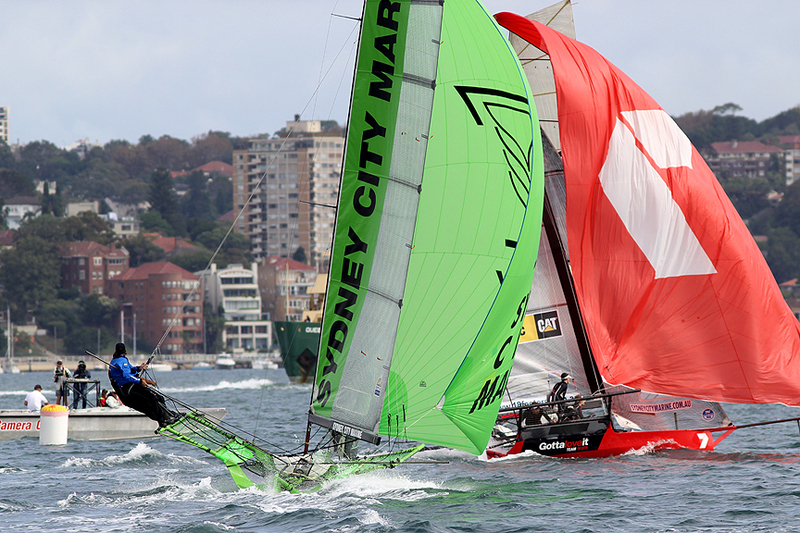 Defending champion Seve Jarvin and the Gotta Love It 7 team Sam Newton and Scott Babbage scored their second win of the 2014 JJ Giltinan 18ft Skiff Championship when they took out the Re-sail of Race 1 on Sydney Harbour today. The win gives the team a great start in defence of the title, but the win today was far from easy. 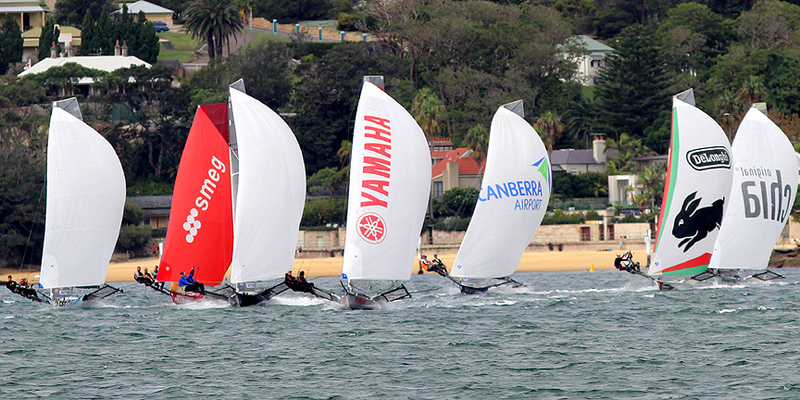 A light shifting NE breeze was an improvement on the earlier days racing and the four lap windward-return course provided some close racing for the spectator fleet. 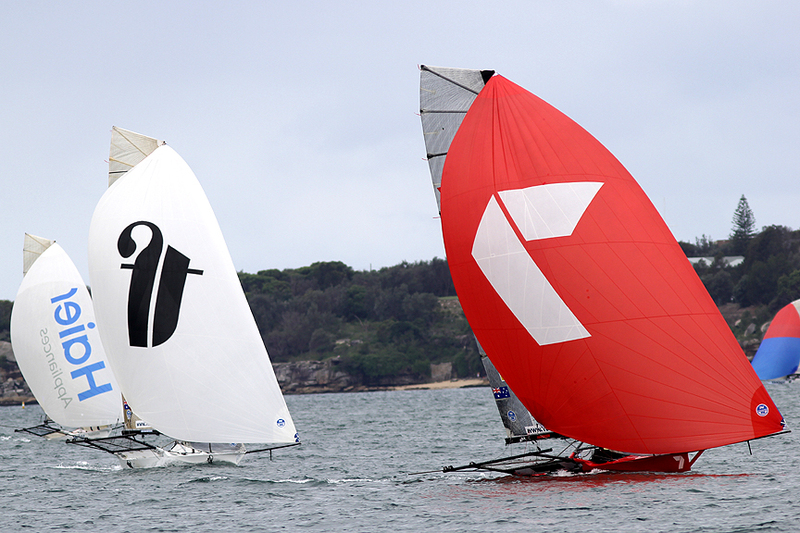 Asko Appliances took an early lead and was 8s ahead of Sydney City Marine (David Witt) at the windward mark. 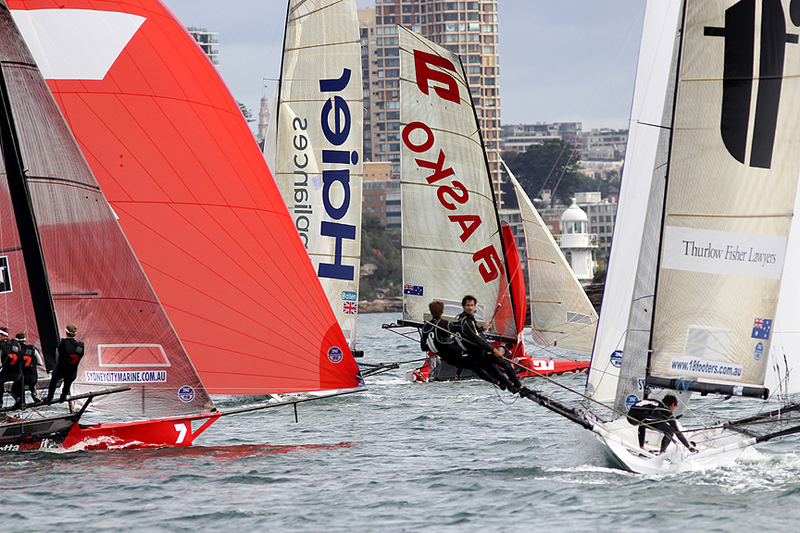 Thurlow Fisher Lawyers was next, followed by Haier Appliances with Gotta Love It 7 trailing the leader by 35 seconds. 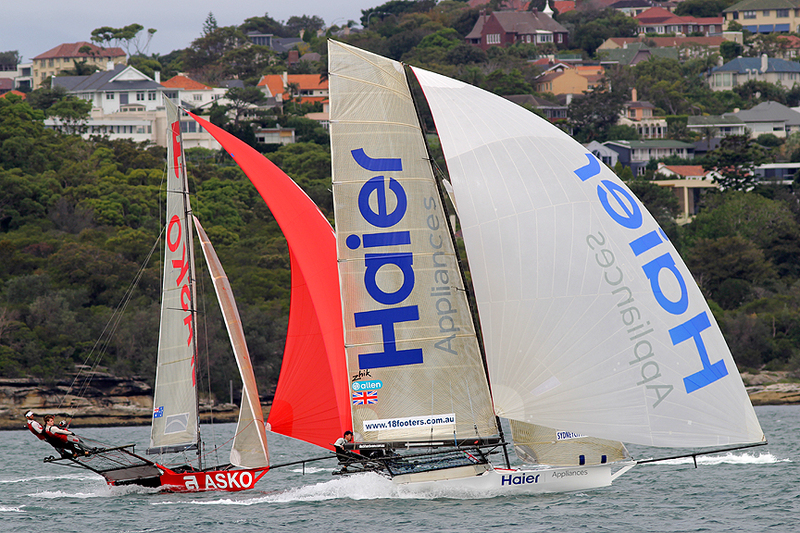 Most of the fleet elected to sail the southern shore while Haier Appliances and Thurlow Fisher Lawyers went to the north. 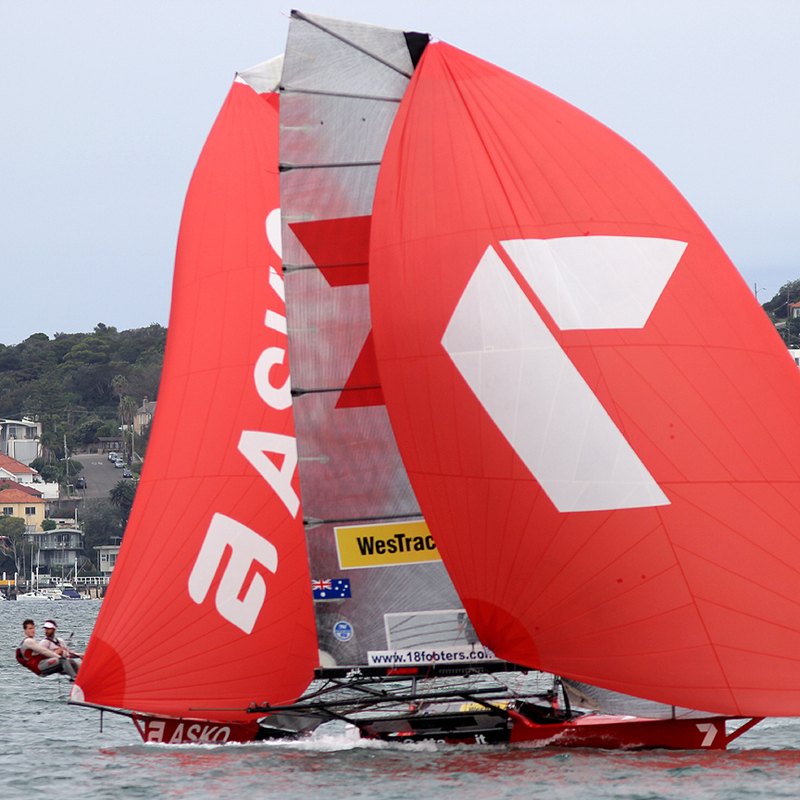 With one lap to go, Thurlow Fisher Lawyers had extended her lead to 25 seconds.Asko Appliances was third just ahead of Gotta Love it 7 and a big group of challengers. 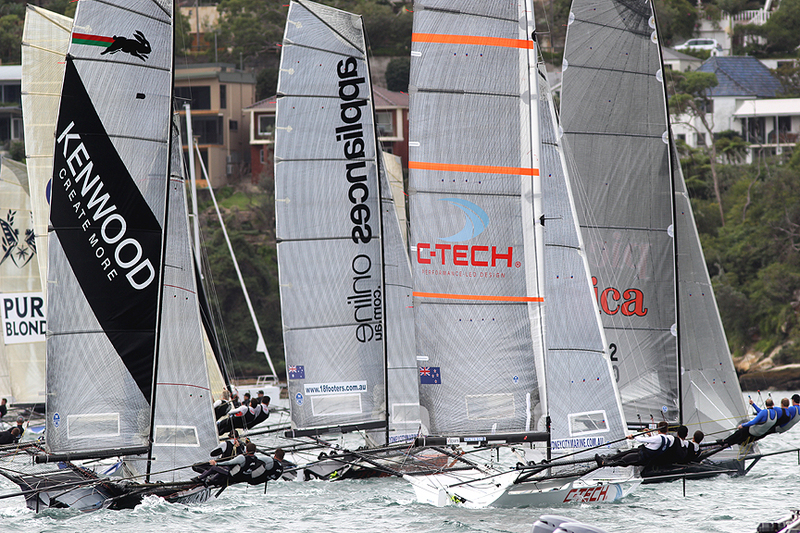 Gotta Love It 7 was just 10s ahead of Thurlow Fisher Lawyers as they turned for home and things were uncertain as the two leaders decided to come down separate sides of the harbour.